This Feb. 9, 2018, file photo shows Kesha in Dubai, United Arab Emirates. Bob Dylan, Kesha and St. Vincent have reimagined popular love songs to honor the LGBTQ community, and the singers are doing it by switching pronouns. The six-song album, "Universal Love," was released digitally Thursday and includes Benjamin Gibbard of alternative band Death Cab for Cutie, singer-songwriter Valerie June and Kele Okereke of the indie rock group Bloc Party. Dylan reworked "She's Funny That Way" into "He's Funny That Way," singing lines like "I got a man crazy for me." Others have changed the pronoun of the classic song in the past, but they were mainly women, including Billie Holiday, Ella Fitzgerald, Liza Minnelli, Etta James and Diana Ross. 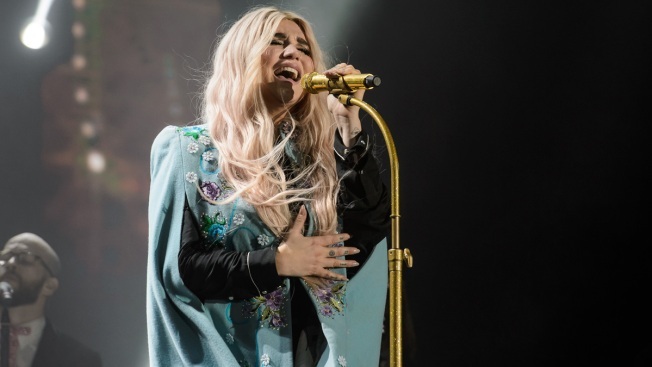 Kesha, who has a large gay fan base and has been a longtime supporter of equal rights for the LGBTQ community, closes the album with "I Need a Woman to Love Me," a spinoff of Janis Joplin's "I Need a Man to Love Me." Gibbard re-recorded The Beatles' 1960s hit, "And I Love Her," to create "And I Love Him." "Universal Love," available on streaming platforms like Spotify and Apple Music, was produced by MGM Resorts and is distributed through Sony Music's Legacy Recordings. "We believe projects like this will help all of us reach a point where seeing the world through the lens of people who happen to be different from us becomes natural and commonplace," said Phyllis James, MGM Resorts' chief diversity and corporate social responsibility officer. Grammy-winning singer St. Vincent reworked The Crystals' "Then He Kissed Me" to "Then She Kissed Me" on the album; Okereke turns The Temptations' "My Girl" into "My Guy"; and June takes on the 1930s classic "Mad About the Boy" for "Mad About the Girl."